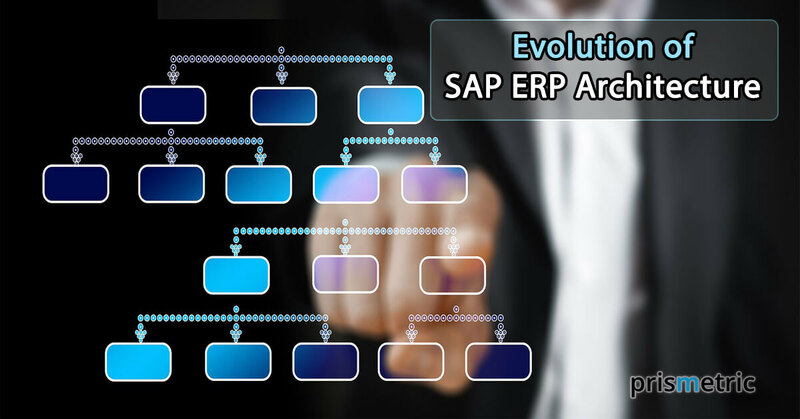 SAP ERP Architecture Evolution has revolutionized the business operation of a large and small enterprise.Here we’ve described the important facts of SAP Architecture Evolution which are unknown from a business entrepreneur. SAP- the leading ERP software has set a benchmark in the industry with unbreakable records through incredible innovations in the product. With continuous innovations, the company started by five former employees of the IBM has now become the world’s largest independent software manufacturer that supports all sizes and types of the businesses and takes the leading position in terms of revenue and the powerful services. 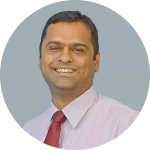 The company offers a diverse range of the products and services that have revolutionized the way businesses operate, execute processes, and manage workflow. The SAP has come a long way, which makes its architecture difficult to understand for the novice players. In the early 70, with technology advancement, the companies were realizing the need for automating the repetitive business tasks as they are slow and error-prone. That’s why companies were hiring the application programmers to help them create an application which fulfills the business needs. But, the companies were struggling to maintain the application due to the bad practices, poor documentation, and any change in the technology that will bring drastic changes to the application. The five ex IBM employees have identified the need of the companies, and come to the point that the application developed by the developers have a few things in common. It sparks an idea of building a standard software that meets the companies needs and address the challenges associated with in-house software development. At last, ERP solution as SAP R/1 built that run on DOS. It has a one-tier architecture where presentation, application, and database are installed under the hood in one system, which makes the first generation of ERP a good fit for the financial accounting system. Going towards the late 70’s, the existing SAP R/1 was re-evaluated and a new software SAP R/2 based on the mainframe computing was launched. It has a two-tier architecture where the presentation was on one server, and application and database were kept on the second server. The software performs most of the real-time enterprise functions like- supply chain, manufacturing processes, accounting, and human resource. Besides, the multiple currencies and multiple language support become an added benefit to the companies for trading globally. After a decade, the presence of computers was increasing, and the need for connecting several computers with one or more application instances that can process the data on one or more database instances has emerged. In the early 90’s, SAP is redesigned to SAP R/3 solution, that’s three-tier architecture based on client-server architecture. All the three layers- presentation, application and database run on the different hardware where the presentation layer is a client that runs on the user’s computer as GUI, application layer that runs the business logic and provides access to the data, only when necessary via server, and the database layer store all types of the business transactions. In this manner, SAP’s client-server concept turned out to be a great success. Further, in order to meet the business processes needs of the companies related to their industry, the industry solution add-ons are offered that by slightly changing the core functional module make the solution industry-specific. Such applications are built on the top of SAP Basis that allow SAP software to execute processes on different combinations of OSs and databases. This is not enough. SAP has made the user interactions with SAP software user-friendly with the introduction of EnjoySAP software. The new software has brought several changes that include non-window look, the tree structure in the left pane, reduced screen changes and pretty more. In the late 90’s, with the growing popularity of the web and Unicode, the Basis layer is renamed to a web application server for showcasing the SAP’s move in the direction of adopting the latest technologies. Also, new features, enterprise extensions, and a few architectural changes are made to bring a new SAP R/3 Enterprise to the world. The enterprise extensions are the sweet candies that allow enterprises to add new functionalities without changing the core application. MySAP- the first internet-enabled ERP product is launched with a long-term vision in the market that has a maximum capacity to spend on R&D, broadest ERP functionality, and industry-focused solutions like- mySAP workplace, e-procurement, HR, product lifecycle, technology and so on. The internet-based architecture has integrated a wide variety of IT systems that have enabled the employees, customers, and suppliers to work together across the globe. Later, Basis and various new dimensional integration components can be grouped as SAP NetWeaver, which helps in integrating the applications of the enterprises using open standards. SAP R/3 enterprise architecture is enhanced by including more components. NetWeaver comprises people integration, process integration, and application platform. The application platform work as a base for SAP NetWeaver and NetWeaver serve as a base for MySAP ERP solutions. The web services that operate and perform various business functions are referred to as enterprise web services, which form the building blocks of the business process. The SAP R/3 enterprise architecture adapted enterprise service architecture, that’s built on the top of enterprise web services, this change leads to the renaming of SAP R/3 to SAP ECC (Enterprise central component). Also, the enterprise service architecture was renamed to Enterprise Service-oriented Architecture (ESoA). Bringing a focus on mid-sized businesses, SAP enhancement package for SAP ERP 6.0 is developed on the NetWeaver platform. It enabled businesses to optimize the performance and reduce IT costs by offering SRM, CRM, SCM, PLM and ERP solutions in a single package. The enhancement framework provided as enhancement packages allows the businesses to import and activate only those enhancements that are required. 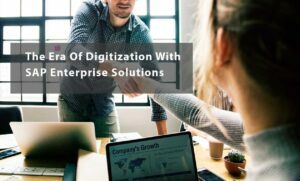 Maintaining a pace with the mobile world, increasing enterprises connection with the business network in the cloud, and data tsunami have resulted in the biggest evolution in the SAP software world, that’s SAP HANA. SAP HANA is an in-memory database to store a mountain of data, and a performance analytics tool to gain powerful insights from the data in a couple of seconds. The database resides in RAM operate on row, column, and object-based tables. The compression technology of SAP HANA reduces the amount of data stored by eliminating the redundant indexes and tables. Afterward, the successor of SAP HANA, that’s SAP S/4 which is a suite of ERP software running on the top of SAP HANA is created. The S/4 HANA software provides online transaction processing and online analytical processing on the same system or data in the real-time, in addition to a simplified data model. It’s the best platform that club data processing, in-memory processing, and database, and provides libraries for business, predictive, and spatial analytics. In 2015, SAP launched the SAP HANA cloud platform for IoT to allow the enterprises to connect the core of the business to the edge of the network for driving operational efficiency and creating a new revenue model. The business potential of SAP technology has completely altered the way enterprises do business. The track record of SAP innovation is really overwhelming, so let’s cheers to success by stepping in with the technological shift.